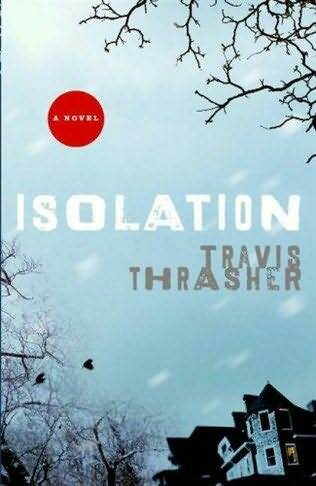 Travis Thrasher’s novel Isolation is a sheep in wolf’s clothing. It pretends to be one thing, but it’s actually something very different indeed. Isolation tells the story of missionaries James and Stephanie Miller. They’ve recently returned home from Papua New Guinea with their two young children, Zach, 8 and Ashley, 5. Something traumatic happened in Papua New Guinea and Jim and Stephanie are feeling disillusioned and isolated – from each other and from their church. Jim wants to take some time to recharge his spiritual battery and so he moves his family to North Carolina, to an isolated lodge built by an eccentric millionaire. The house has secrets though and so, apparently, does Stephanie’s family history. Now, if this had been a book about how this couple and family overcome obstacles to find their way back to their faith, that might have been one thing. But this is supposed to be a ‘horror’ novel. Thrasher even thanks scare-master Stephen King in his acknowledgments. I’m not saying the book doesn’t have a certain creep-factor. It does. But I think that this book is more about God and putting your faith him him. Evil in this book is the work of the devil and the ability to fight against it comes from a higher power. I’m not religious. In my book club, I proudly wear the flag of heathen. Organized religion irritates me. Hopefully that will explain, in part, why I felt duped by Isolation. Whole sections of the novel felt preachy to me, like when we learn about how Stephanie’s character came to be Christian. The camp was run by Christians who were sincere and loving. They weren’t like the televangelists her parents mocked or the pious churchgoers in her neighbourhood who never even bothered to wave hello. They weren’t like the preachy kids at school who made others feel bad for not believing. These were simply loving, fun men and women who wanted to befriend the campers. Oh, so there are different kinds of Christians, then. Apparently, because the author takes great pains to describe Stephanie’s friend, Michelle’s “no-nonsense” qualities. Why aren’t there women elders in the church, and why can’t they serve Communion, and what’s the big deal about having a beer every now and then, and why can’t Christians get off their high horse sometimes? It’s stuff like this that made me feel as though Isolation‘s agenda was not actually to scare, but to instruct. Too bad because all the ingredients were there for a creepy little story…if only it hadn’t felt so much like a sermon. This entry was posted in Uncategorized and tagged 2010, horror by Christie. Bookmark the permalink. It’s odd and I can’t explain it, especially since my perspective is slightly different from yours, but I feel the exact same way about books like that . . . it’s like they *trick* you. Yep – nothing about the book made me think “Christian novel” except the tiny little http://www.faithwords.com at the bottom on the back cover. Oh well.